Use the form below to inquire about Exclusive Health Resort Near Cherai Beach . Use the form below to reserve for Exclusive Health Resort Near Cherai Beach . Spacious rooms with double or twin beds, attached balconies and en-suite bathrooms. These rooms have wooden paneling, double or twin beds, attached balconies and en-suite bathrooms. The suite has a separate living room and a dining table. 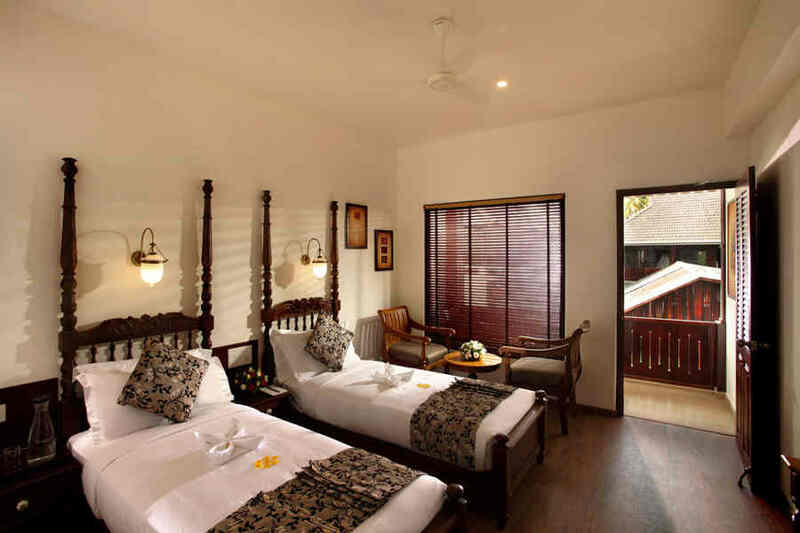 The bedroom has an intricately carved wooden bed, large windows to take in the view and attached balcony. Time stands still like the placid backwaters that will engage your senses at the Exclusive Health Resort near Cherai Beach. Kerala has all the right ingredients to give your senses an extravagant treat. 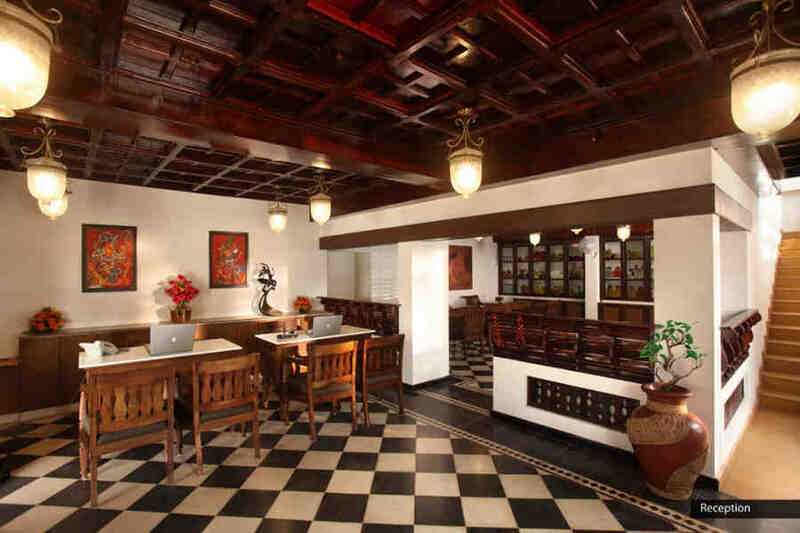 Cochin is a gem of Kerala’s cultural crown. It’s a melting pot of cultures with a cornucopia of natural beauty. It’s also a paradox in its own right—while on one side it is a city where tradition and technology converge, on the other side, it’s a tourists’ paradise. The Portuguese houses, the buildings from the British Era, and the Chinese fishing nets, all have a tale to tell. The Exclusive Health Resort near Cherai Beach is your gateway to all the city has to offer its visitors and then some! The Exclusive Health Resort near Cherai Beach sits pretty between the beaches by the Arabian Sea and the calm backwaters. You can be sure your senses will work overtime, what with the unparalleled views of the surroundings and the invigorating aromas of traditional food. 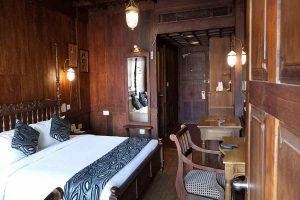 The resort’s construction reflects traditional Kerala architecture with a sloping red-tiled roof, vertical wooden beams and wood frames on the ceiling among the different features. It reflects the region’s rich heritage through its interiors and exteriors. 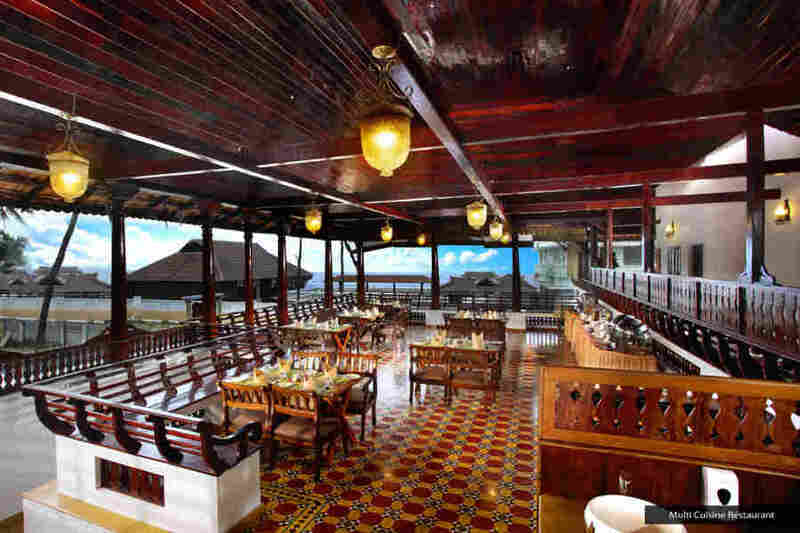 The resort has a multi-cuisine restaurant called Sangam, a seafood restaurant named Samudra and Kayal, the coffee shop. These restaurants serve delectable fare that will take your taste buds on a delicious journey. 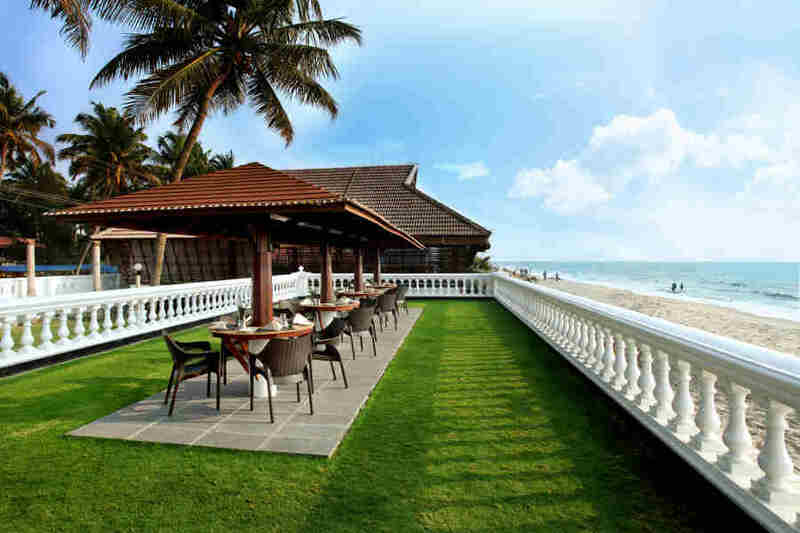 The open lawn on the beach side is the perfect place to enjoy a buffet meal. The resort also has a banquet hall for hosting events. 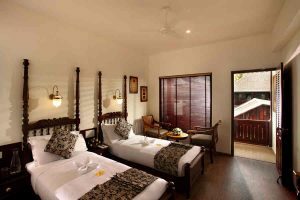 There are 35 rooms at the Exclusive Health Resort near Cherai Beach that makes holiday accommodation a thing of luxury. You can choose from three room types namely Heritage Grande, Heritage Premium and Royal Suite. Each of these rooms exudes the simple charm and understated elegance. 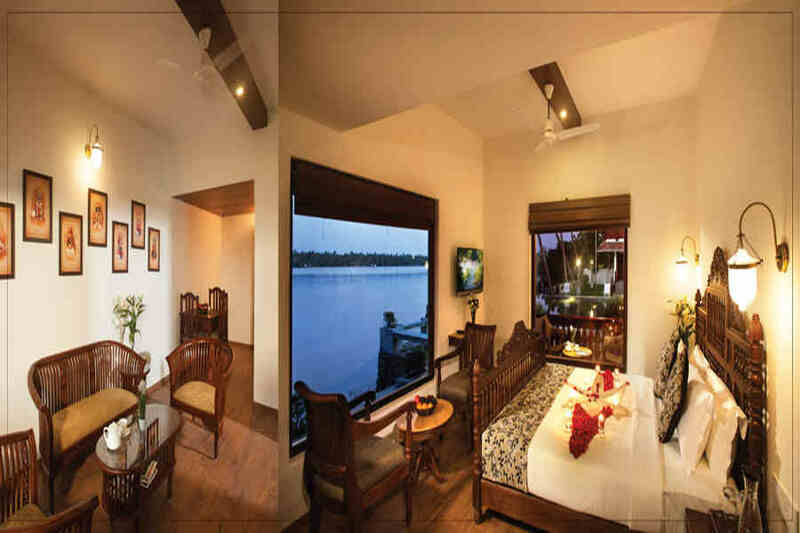 The interiors of each of the rooms are tastefully done and feature one of the traditional performing art forms of Kerala. All the rooms are well-equipped with all the modern amenities and have a balcony that offers stunning views. 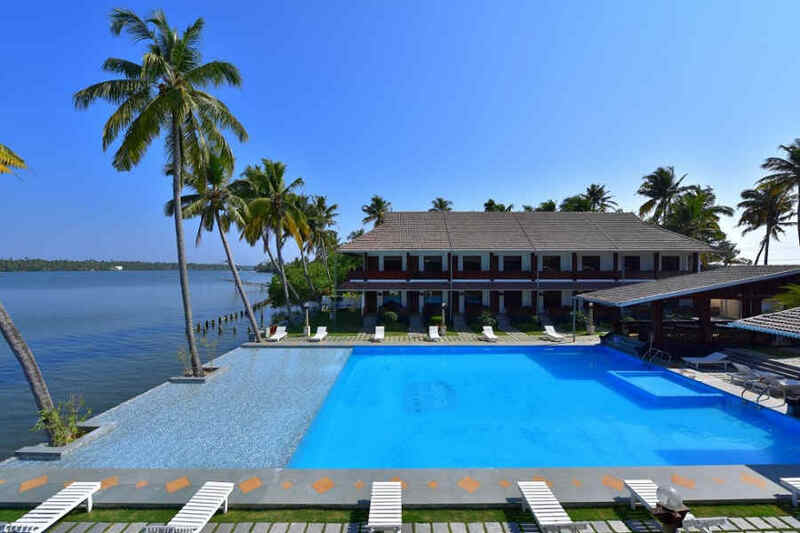 When you want to enjoy a holiday in God’s own Country, this is the right place to be! Extra charges. Child (6-12 years) without bed INR 600 and with bed INR 1000. As per the latest GOI directives, all guests are requested to carry a valid photo identity (Voters ID, Driving License, Aadhar Card, Passport, Armed forces identity card etc.). It is compulsory for foreign Nationals and NRI's to carry their passport with valid visas or PIO (Person of Indian Origin) card. Please guarantee your reservation against Cash deposit, NEFT, IMPS, online transfer at the time of booking. A guaranteed reservation will be held until 20.00 hrs. Unless a late arrival is specified. Please intimate us the exact address to which the bills are to be sent or else bills. Rooms may be released if payments/vouchers are not issued within cut off periods. In case of a no-show or cancellation of a guaranteed reservation the hotel reserves the right to levy retention charges for the entire stay. 0 -15 days prior to stay - No refund. 16-20 days prior to stay - 50% refund. Beaches have an astonishing power of holding your gaze. You can never tire of looking out onto the horizon when you are at the beach or anywhere near the sea. 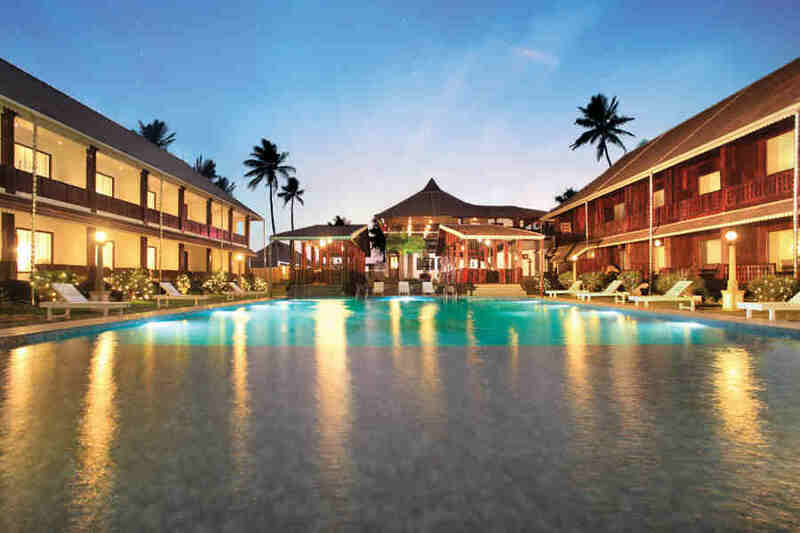 You’ll find many opportunities to do just that at the Exclusive Health Resort near Cherai Beach. While the resort offers stunning views of the sea, you can get up close to it at the Cherai Beach, which is a stone’s throw away from the resort. There is more for sightseeing. The Jewish Synagogue, Chinese fishing nets, Mattancherry Palace, St. Francis Church and boating on the backwaters are on almost every traveler’s itinerary on their trip to Cochin. If you want to try your hand at cooking Kerala cuisine or yoga, those can be arranged for you on prior request. There is also a beach side cultural activity center for the resort’s guests. The Ayurveda center at the resort is where you should head if relaxation and rejuvenation are what you seek during your holiday. There is a whole Ayurvedic menu of treatments and massages to choose from. It’s sheer indulgence for your mind, body, and soul. Located 27 km away, the international airport in Cochin is the closest airport from the resort. The international airports in Calicut and Trivandrum are about 150 km and 230 km away, respectively, while the one in Bangalore is 524 km away. The closest railway stations from the resort are Aluva (23 km) and Ernakulam Town Railway Station (27 km). Of these, Ernakulam town is serviced by many trains from across the country. The city railway station in Bangalore is located 527 km away from the resort. 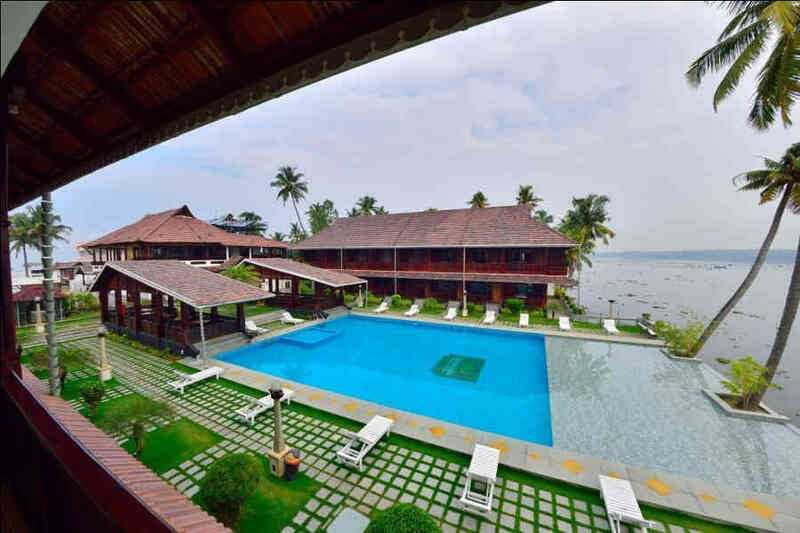 The resort is accessible by road via a network of highways that connect Cochin to Trivandrum (231 km) Mangalore (396 km), Bangalore (525 km), and many other cities. 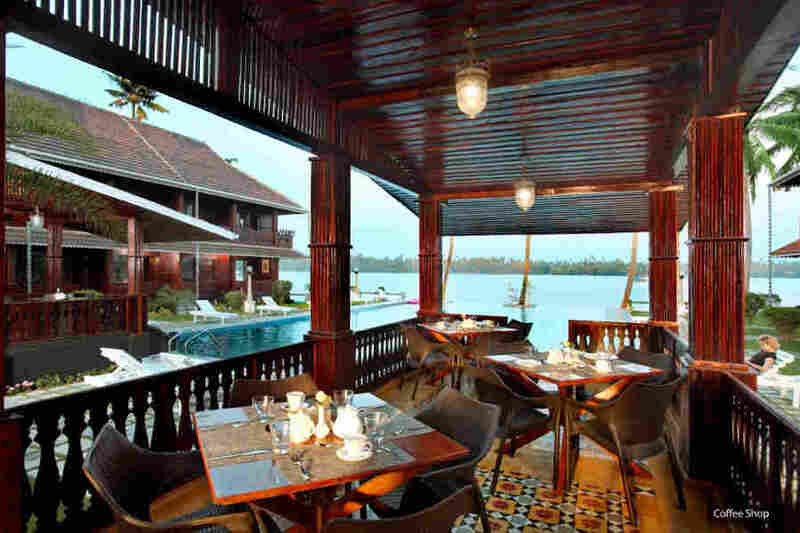 Fort Kochi (23 km), Kochi (40 km), and Kumarakom (80 km) are also a short drive away from the resort.